OLD PARKED CARS. 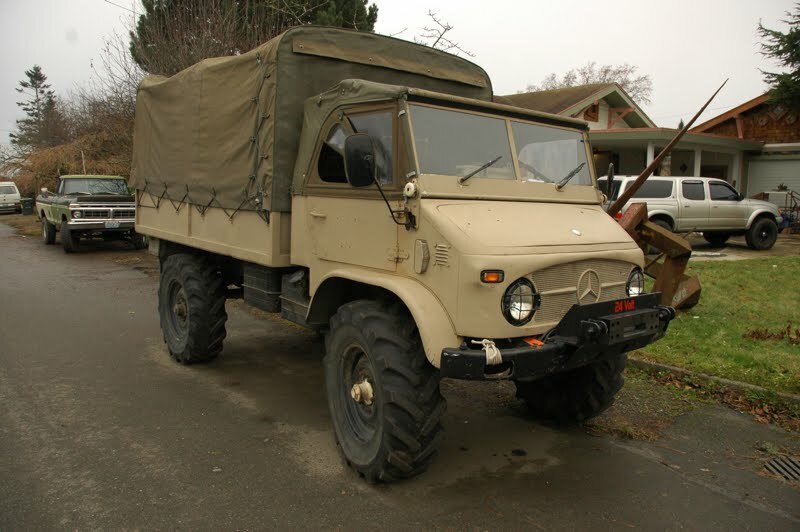 : 1962 Mercedes-Benz Unimog 404 S.
1962 Mercedes-Benz Unimog 404 S.
fantastic. 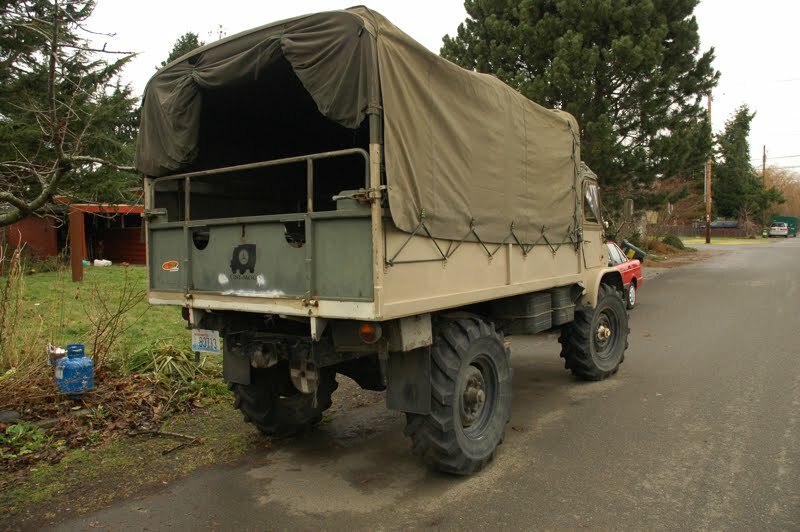 spotted one of these in the tigard costco parking lot as it drove away, thought that was some good comedy. is that a piece of art or art-illery in the front yard? That thing looks TOUGH. Love the paintjob and the tires. Already visited the site, happy to see Paul still doing CC's. I spy a Vanagon and a rednecked-up F-100 in the 1st shot. Old parked cars flock together. Hey, that almost rhymes, right? 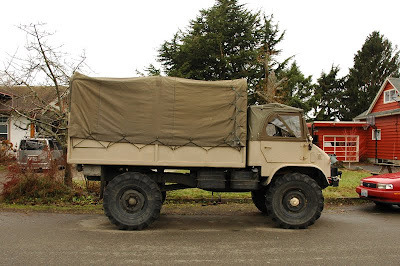 Unimog (original company name before Mercedes bought it) is the real deal, originally a military off road vehicle and that means off road, not just outside of the pavement as many "off roaders" think it is. These are/were widely used as light snow plowers and power companies for maintaining the power lines in Central Europe. 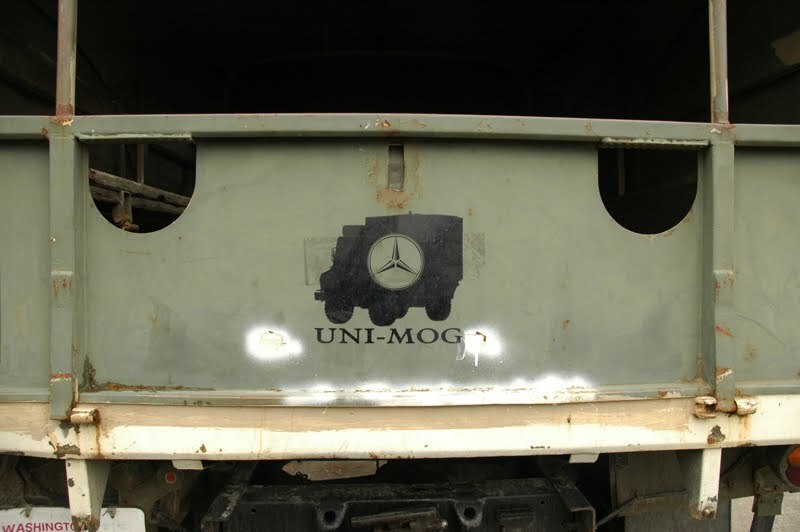 Also many city maintenace applications are common as can be seen with Google image search with "Unimog"